Safe Harbor is a Christian therapeutic boys school using a maritime academy as the backdrop and tool for helping at-risk teenage boys. – educational consultants and boarding schools with therapy. Safe Harbor, founded in 1984 in Jacksonville, Florida is a residential program utilizing the waterfront as a therapeutic residential and educational environment for troubled teenage boys. Since it’s inception the Safe Harbor program has provided each boy with the mental, physical and spiritual strength to succeed in life. Life on the water provides serenity and peace, but also unequaled opportunities for life. Safe Harbor came about “accidentally” 30 years ago when a judge asked the founders, Robbie and Doug Smith, to care for a troubled boy on their large sailboat, instead of that boy being sent to juvenile hall for the weekend. The judge, a friend of Doug’s, wouldn’t take “No” for an answer, even though the Smith’s were retired and about to embark on a worldwide trip on their boat. The success of that weekend triggered more pleas by the judge for the Smith’s to help more boys. Eventually, a larger organization was launched and formalized as a nonprofit in 1984. 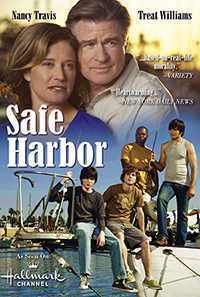 Safe Harbor is now an established maritime-based boarding school for troubled boys. It uses maritime principles and seamanship as a therapeutic model for helping turn around boys who are getting into trouble at home, school or with the law. Safe Harbor provides a safe, stable, structured, alternative to therapeutic boarding schools and harsher juvenile programs. Today, Safe Harbor offers a unique program for at-risk boys to live aboard vessels and learn seamanship and maritime skills while studying for their high school diploma. The program offers exceptional education for teens who are not thriving in their current school. We achieve a very high success rate with these boys, which means you enjoy the peace of mind knowing that your child is receiving the structure, stability, guidance, discipline, love as well as the academic and vocational training he needs. Contact us for our screening application and program description for troubled teens. Safe Harbor is a nonprofit organization that is unparalleled in its ability to create men of character, integrity, and vision. Each cadet learns responsibility by working and living on their own boat, gaining success in the maritime environment, learning to captain their own vessel and leading to successes in other areas of life. Your teen is taught these skills by our staff of professionals. For the last 30 years, more than 1,000 boys have dropped anchor and found peace on the shores of the Saint James River in Jacksonville, Fla. This is where they found the Safe Harbor Boys Home. Tyler, who is now 18, arrived at the home 15 months ago. He had spent years on a path of crime, drugs, and bad behavior. These days, Tyler dreams of becoming a chef and owning his own restaurants. 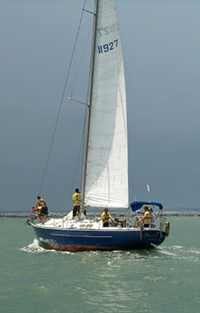 Like so many of his Safe Harbor peers, the home is where Tyler found hope and the chance to sail away his troubled home. “It’s definitely one of those once in a lifetime experiences where you do it, and you are going to look back on it the rest of your life,” said Will, another young man who has been at Safe Harbor a little more than a year. Will spent months skipping school before he found the home. He hated high school, but these days he dreams of being a mechanic and going to college. Water is at the center of each of the boy’s new structured experience. Executive Director Robbie Smith is one of the captains steering the successful ship. By her side is her husband Doug, who is the program director. This is their life’s work, but neither takes a salary. Neither of the Smiths planned to open a boys home in 1984. Fast forward 25 years, and the story of how it began is the focus of an original Hallmark Channel movie. “Safe Harbor” premieres on the cable network Saturday, May 30. Check local listings. The film begins with the pair preparing to sail the country on their yacht after selling Doug’s successful business and retiring early. Before they can begin their adventure, a friend who Robbie knew from her career as child therapist, asks them to look after two teenage boys in trouble. Safe Harbor has a 95 percent success rate. In the last 25 years, the residential high school program has grown to include lessons in welding and nautical upholstery. Between their studies, the boys learn to build hydroplane racing boats and learn to prepare all the meals at the home. Safe Harbor can accommodate 15 boys at a time. There are 12 in the program now. Each boy lives aboard his very own boat and is fully responsible for all the upkeep. As a kid, Doug spent lots of time close to the water. Doctors diagnosed his father as a paranoid schizophrenic, and that drove Doug to run away from home as a teenager. He spent many nights sleeping under Jacksonville’s Maine Street Bridge. A dog also kept Doug company while he was living on the street. When a police officer shot his dog, Doug assaulted the officer. A group of fishermen saved him from jail. They encouraged a judge to send him to seaman school. “The only thing important in this world is people,” Doug explained. He believes his troubled past prepared him to serve the boys of Safe Harbor. “God has shown me where the true treasure lies,” he said. Steve Barnes was one of the first residents of Safe Harbor. He arrived from a juvenile detention center in 1985. He can see himself and his anger, dramatized in the film. He traded his anger for peace shortly after arriving at the home. More than 20 years later, he has traded a successful journalism career for a life as a Florida politician. He is also a husband and the father of three girls. He says he owes his success to the Smiths. Waves of change start with a ripple. Doug and Robbie now hope the television movie that tells their story will inspire others. Robbie Smith talks with some of the boys living at Safe Harbor Academy while her husband, Doug, talks with staff members. The Smiths are retiring June 30, 2014. Robbie and Doug Smith were preparing for a round-the-world sailboat cruise in 1982 when they and their Jacksonville-based boat temporarily took in a few troubled boys to work on the water. They never went on that cruise. What was supposed to be a yearlong detour turned into a 32-year career. Since the couple founded the Safe Harbor Maritime Academy, a Christian therapeutic boarding school for boys, they have helped about 1,100 at-risk boys turn their lives around. But last year, Doug Smith, 61, had a stroke, which led him and his wife, 57, to ponder the future. They said in a recent interview that they love their “boys,” but the slower pace and freedom of retirement beckoned. “I’m too old for this,” Doug Smith said. So they named a new Director to lead the privately funded academy’s second act. Robbie Smith is a licensed mental health counselor. Her husband is a licensed clinical pastoral counselor and an ordained minister. At Safe Harbor, located on the banks of the St. Johns River near Blount Island, boys ages 14 to 17 find direction via the Smith doctrine of structure and stability, discipline and caring. They learn maritime skills and receive vocational training while studying for their high school diploma. Some of the school’s 30 donated boats are used as sleeping quarters for the boys. Others are used in the school’s maritime career training program. The school has about 15 boys at any one time, mostly from the East Coast. Most stay a year, some as long as four. About a third of graduates enter military service and about 70 percent further their education after leaving. Steve Barnes arrived in 1985 at age 16. He said he began getting in trouble in middle school, trying to fit in by drinking, smoking marijuana, skipping school and running away. He spent six weeks in a juvenile detention facility, six weeks in inpatient drug treatment. He did “major soul-searching” and became a Christian, but said he still didn’t know how to proceed. His parents feared a return to his old ways if he came home. Safe Harbor was recommended and Barnes stayed there until his 18th birthday. Barnes, who now lives in Sanford, ultimately became a high school and college graduate and a journalist. He was elected to countywide office, ran unsuccessfully for the Legislature and is now an investor and consultant, husband, father and mentor. “Without the skills and confidence I learned at Safe Harbor, I would never have even attempted these challenges. … I would likely be dead or in prison today,” he said. Julian, 18, Celso,16, and Josh, 17 — their last names were withheld at the request of the academy — are among the Smiths’ last group of boys. They are preparing to graduate from the program, to be followed in coming months by new residents selected. Like Barnes, they said they initially chafed against the discipline and rules but have come to realize the positive effects. Josh said he has learned the importance of “thinking through things,” considering consequences before acting. Celso said he has learned the importance of “thinking ahead” and setting goals. The Smiths, they said, have built them up. “They do whatever they can to help you,” said Julian. The Smiths said they find such appreciation gratifying and are particularly touched when the boys-turned-men keep in touch after they leave, as Barnes has done. They are aware that boys view them as tough when they are under their thumbs but relish hearing from them later that they came to appreciate the Smith doctrine, Robbie Smith said. “They call me warden,” she said of her current charges. Then she noted their open, waterfront, marina-like surroundings. “Look around. It’s not like they’re in jail,” she said. After June 30, the Smiths plan to travel for a few months. They then will return to live on the Safe Harbor property but separated from the daily operations. They will assume ambassador roles, traveling near and far to raise funds and awareness. Doug Smith said they could hang up a new counseling shingle. Should you need help finding Christian boarding schools, affordable boarding schools, boarding high schools, boarding schools for troubled boys, please let us know. Safe Harbor is among the top therapeutic schools, our therapeutic boarding schools for boys; one of few residential treatment centers and residential schools for teens that is affordable. As a home for troubled boys it serves at-risk boys, we help boys in Florida, Georgia, in Kentucky, in Tennessee, in Missouri, in Louisiana, in Arkansas, and in Texas. Plus, in the Midwest in Michigan, in Ohio, in Indiana and in Illinois. Mostly, troubled teens from homes along the east coast including in Virginia, in North Carolina, in South Carolina, in Pennsylvania, in New Jersey, in Massachusetts and in New York are provided counseling and therapy. Safe Harbor is a Christian therapeutic boys school using a maritime academy as the backdrop and tool for helping at-risk teenage boys.